The 2019 CR-V blends practicality with an inner desire for pure driving bliss. 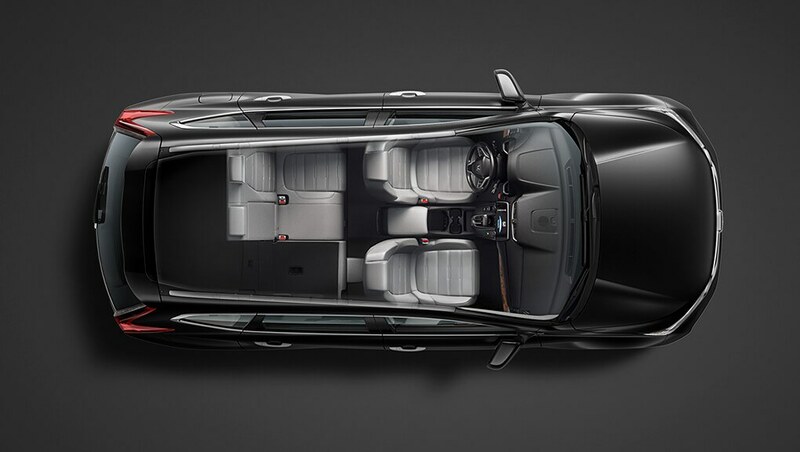 The result is a showstopping package of form and function. 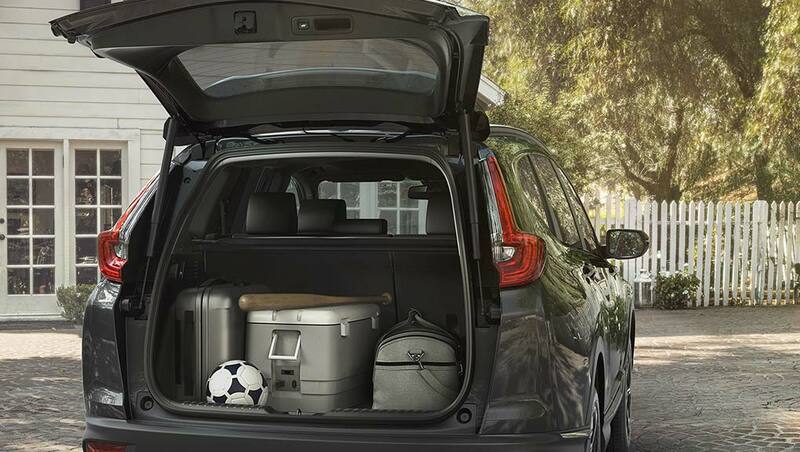 We’ve taken a sporty look and personality and jam-packed it with tons of innovative technology and features. The fun-to-drive handling of the CR-V has always made it feel almost more car than SUV, and having a turbocharged engine in the mix should guarantee that drivers can always be on the edge of their seats. If the way we’ve fallen in love is any indication, the 2019 CR-V is going to be a runaway hit. Step into the limelight with the 2019 CR-V. Along with a sporty design and athletic personality, it boasts tons of innovative technology and features. No matter the audience, the CR-V has what it takes to be a hit. 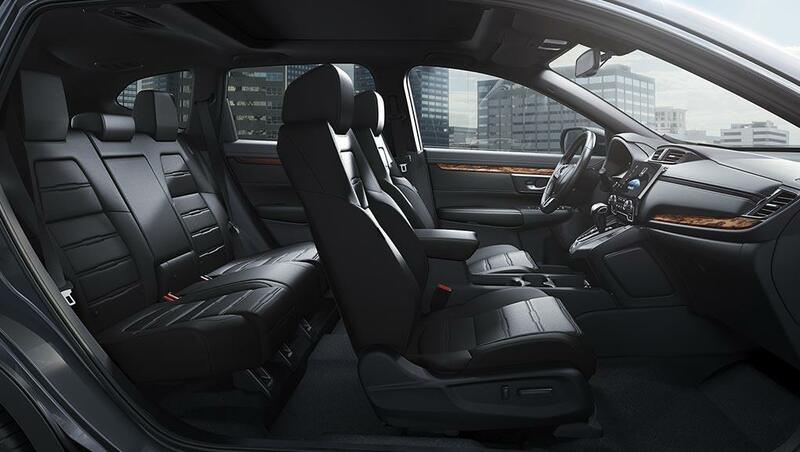 Style and versatility come together in the 2019 Honda CR-V. Its easy fold-down rear seat helps free up more space, while the available hands-free power tailgate helps free up your hands. 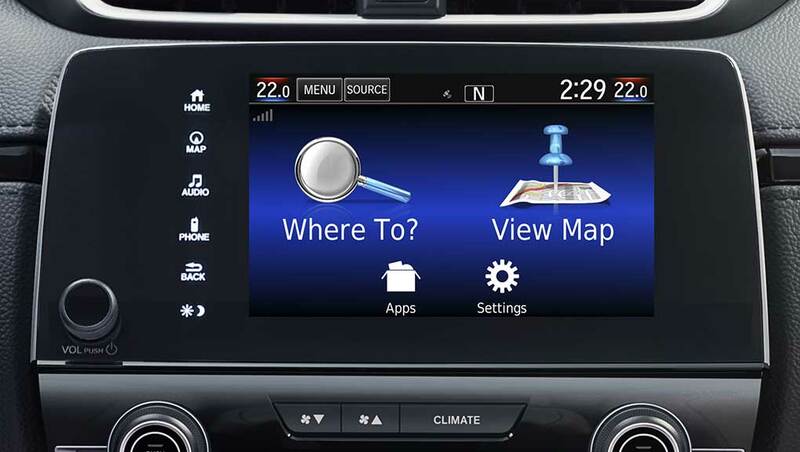 And with the available Honda Satellite-Linked Navigation System™. Tech leads the way in the 2019 CR-V. 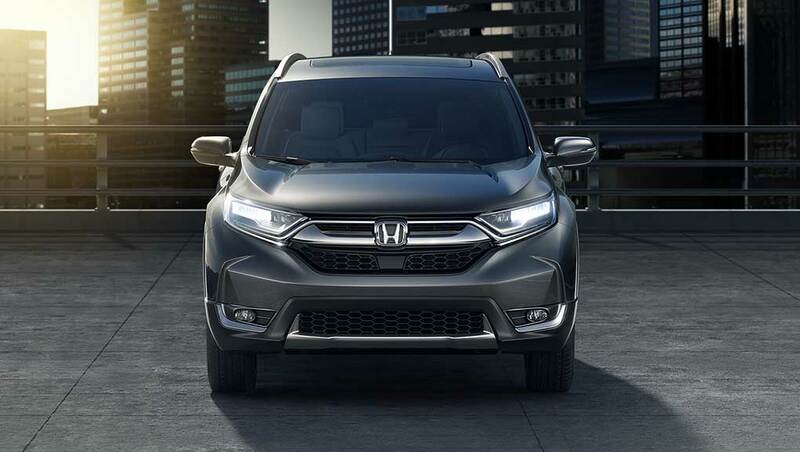 It boasts features like the Display Audio System with Apple Carplay, /Android Auto to make sure your hands stay on the wheel, and the available Honda Satellite-Linked Navigation System with bilingual Voice Recognition so your eyes stay on the road. 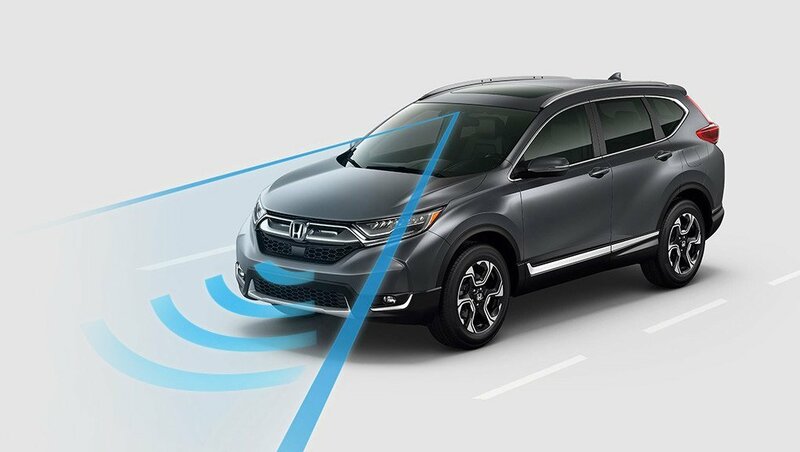 While you’re driving, the available Honda LaneWatch blind spot display (replaced by the Blind Spot Information (BSI) system with Rear Cross Traffic Monitor system on the Touring trim) acts like an extra set of eyes. And when you finally arrive, two available rear USB ports ensure your passenger’s devices are fully charged and ready to go. 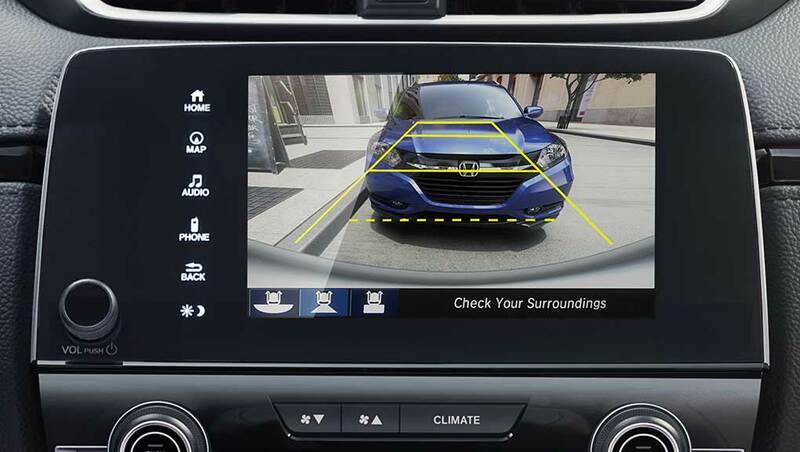 The multi-angle rearview camera comes standard on the 2019 CR-V giving you added perspective and easier reversing. The 2019 CR-V doesn’t hold back on performance. 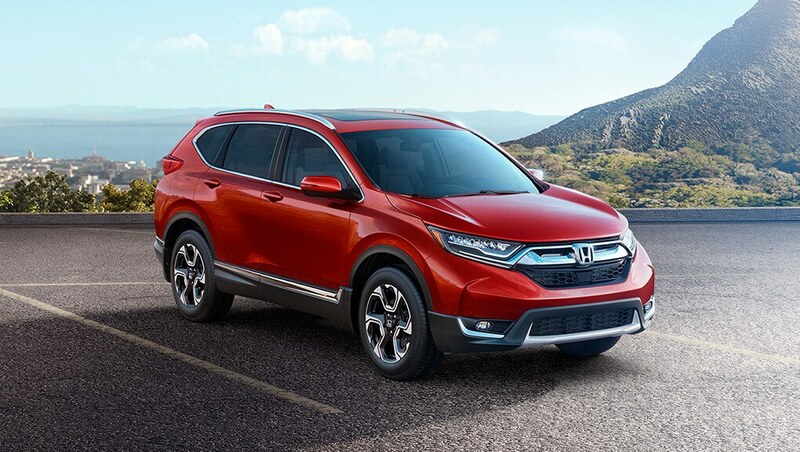 The 1.5-litre, 16-valve, Direct Injection, DOHC, turbocharged 4-cylinder engine provides the CR-V with 190 horsepower and 179 lb.-ft of torque, while the continuously variable transmission (CVT) keeps it all working smoothly. It harnesses that power using the traction of available Real Time AWD™ with Intelligent Control System™ to give you a stable and confident drive, no matter the road. 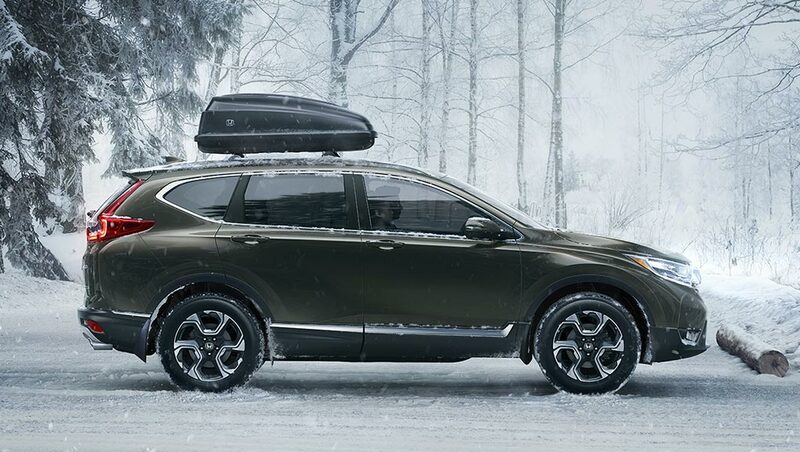 The 2019 CR-V harnesses its power using the traction of the available Real Time AWD™ with Intelligent Control System™ to help give you a more confident drive, no matter the road. The available FCW system that is integrated with CMBS is designed to detect the presence of vehicles in front of you and issue alerts if you’re approaching with too much speed. If you fail to respond to the alerts, the CMBS о is triggered into operation. To help reduce the likelihood or severity of a frontal impact, the available CMBS is engineered to apply brake pressure if you don’t slow down when it senses you’re at risk of a collision. If it still senses an imminent collision, CMBS is designed to brake firmly.